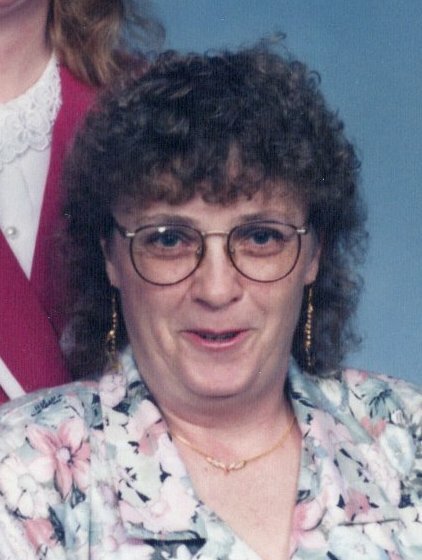 Violet M. Pierce, 70, of Fremont, OH passed away on November 17, 2018 at home surrounded by her family. She was born on March 10, 1948 in Fremont the daughter of Edward Beckley and Doris (Hall) Gray. Vi married Thomas E. Pierce on November 12, 1982 and he preceded her in death on November 14, 1991. She was proud to receive her GED in 1998. Vi worked for Alkon for fourteen years until she retired in 2018. She had also previously worked at Eastside Café, Bethany Place and Bethesda Care Center. Vi loved playing Bingo, cards and the Lottery. She truly loved to spend time with her family and would do anything for anyone. Vi is survived by her children, Brian (Carey) Pierce, Corrina (Joe Doering) Logan; son-in-law, Edward Logan II all of Fremont; grandchildren, Brianna and Tyler Pierce, Mekayla Logan, Brian Pierce, Jr., Elyssa Logan, Edward Logan III, Autumn Daugherty, Lorenzo Rodriguez III, Cynthia Rodriguez; great grandchildren, Nevaeh Rapp and Jack Frederick; siblings, Edward (Sandy) Beckley, Marlene Bleckinger, Diane Beckley and Duane (Becky) Beckley all of Fremont, David (Maggie) Beckley, Clyde, Jeffery (Linda) Beckley, Bloomville and Thomas (Shelly) Beckley, Old Fort; step-siblings, Vicki Judd and Rhonda Fisher both of Bellefontaine, OH, Larry Dale (Kenzie) Fisher, Carey, OH and Mark Fisher, Vickery; many nieces and nephews..
She was preceded in death by her father; husband; siblings, Larry Beckley, Christine Chamberlain and Julie Wyss; step-fathers, Clifford Fisher and Thomas Gray. Visitation: Tuesday from 2 to 4 and 6 to 8 p.m. at Wonderly Horvath Hanes Funeral Home and Crematory, 425 E State St., Fremont, OH. Service: Wednesday, November 21, 2018; 10:30 a.m. at the funeral home with Pastor Glenn Merrill officiating. Violet was a great friend and I love her so much. They got a never angel. Violet and Michelle is dancing up there. I will always love her. I’m so sorry for ur loss. Corrlna u get with me honey. Tom, Shelly, and family ,so sorry for your loss.You are all in my Prayers!! Many thoughts and Prayers are with the family through this difficult time. Fly high with the Angels Viola. Words cannot express the sorrow we feel for the family. You all will be in our thoughts and prayers.